Belleair Beach in Florida is a residential beach community and home to a variety of families, such as those with children, retirees and part time residents. Done Rite Party Rentals is in the business of renting out bounce houses for special events. While kids’ birthday parties remain the most popular venue for using our inflatable bounce castles, we have been privileged to help folks in Belleair Beach add our fun inflatable spacewalks to church events, carnivals, fairs, family picnics and store openings. Even a Halloween party is a great time to rent our inflatables. A bounce castle or cool water slide within the confines of a supervised Halloween party is a safer option for youngsters to celebrate the arrival of ghosts and goblins. 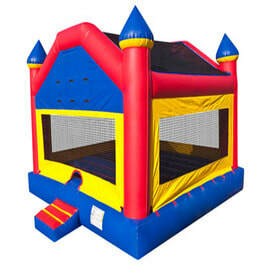 Our varied bounce house themes include princess castles for girls and superheroes for boys or vice versa. Done Rite party inflatables are not limited to the little ones. Adult residents of Belleair Beach often partake in the fun. The grownups especially capture their youth while gliding down one of our large water chutes. Our bigger bounce rides have enough space for parents to join the small fry within the walls to have a little fun time, while, at the same time, having a chance to supervise the bounce activities. Let’s face it….roughhousing can sometimes take an ugly turn when jump activities get out of hand. 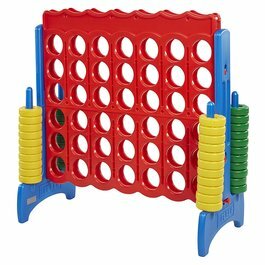 Add some of our rental games to the festivities to give the party a little more pizzazz! Ask about our game selection for Belleair Beach. Every celebration calls for refreshments. Done Rite Party Rentals has concessions for rent. 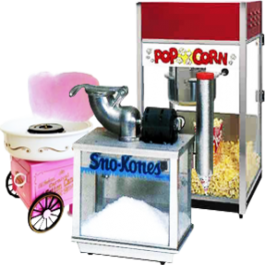 We have snow cone, popcorn and cotton candy machines. Try a snow cone for that cooling affect. Who doesn’t get tempted by the aroma of fresh popcorn? Cotton candy takes us back to those circus outings. Party guests will need a place to rest inbetween bouncing , jumping and sliding activities. No problem...Done Rite Party Rentals is on the case. We have chairs, as well as, tables for rent. We can provide tables adequate enough to accommodate events with a vast amount of guests or those of a more intimate number. Weather sometimes plays a negative part in Belleair Beach which could put a damper on any party. We have that covered also. 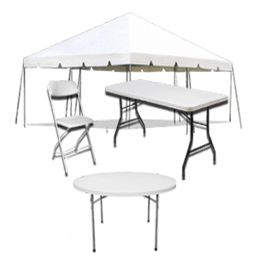 Just rent one of our tents for shelter. 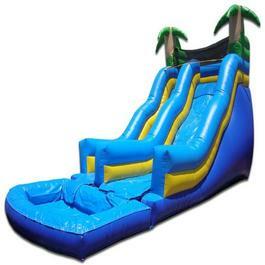 Our inflatable bouncers and water slide rides can withstand a rain shower but party guests prefer to stay dry. Done Rite Party Rentals helpers do all the work of setting up our inflatable castles and spacewalks at your choice of venue in the town of Belleair Beach,,,backyard or park, etc. Safety is a priority with our company so all inflatable bounce castles and slides are secured firmly and all rented party equipment will be in place prior to your guests’ arrival. All inflatable equipment is inspected on a regular basis and washed and sanitized before and after each use. Treat yourself and loved ones to a day of special party fun. Done Rite Rentals is just a phone call away. This company is licensed and insured. We comply with Belleair Beach codes.